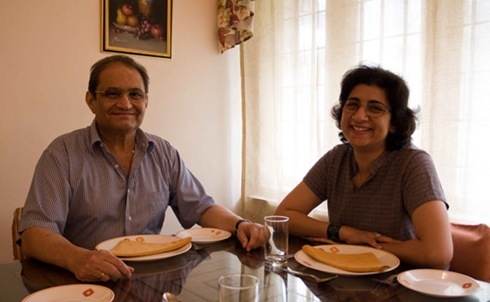 A few months ago, Parsi Khabar had introduced Daddy’s Deli to its readers. This is a Parsi restaurant serving authentic Parsi food in Bangalore. Nozer and Zarine Daroga run Daddy’s Deli. A bespoke Parsi restaurant that opened service in October 2008 from Indirangar’s 12th Main. The service is from The Executive Inn, a simple and neat serviced apartment, which the couple run as well. The ambience is simple, yet extremely clean with small personal effects that make the place feel like home. Stepping into Daddy’s Deli on an exceptionally hot Bangalore day, we ordered a nice Fresh Lime Water and a pot of well brewed refreshing black tea, which was served to us in charming, pretty china.